Beautiful nails are more than just statement pieces. They say a lot about you. A short, polished nail alludes to a professional, no-nonsense kind of woman, while longer, more elegant nails add an element of sophistication. Your nails also speak volumes about your inside health. 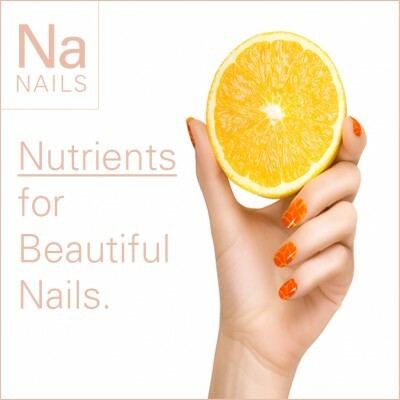 Problem nails say your body could be nutrient deficient. The nail itself is mostly made up of keratin, the same protein found in hair and skin. When the blood vessels underneath the nail are circulating properly, the result is a healthy pink nail. Nails are continuously growing. On average, the nail grows about a tenth of an inch each month. So if you want to lengthen your nails, this will generally take about six months. Fun fact: Nails grow faster on your dominant hand. Beauty tip: To lessen the likelihood of an ingrown nail and make the nail stronger, allow the edges of the nail to grow out straight. What is an ideal nail? The nail should be pink and strong, but not hard, should bend, but not break, and be colorless without ridges, white marks, or dark lines. If your nails are discolored, thick, with heavy lines or indentions – this may be a sign of illness. Dry and brittle nails may mean you are not getting enough nutrients, or are not digesting and assimilating the nutrients properly. If you’re already eating well, then adding additional nutrients probably won’t help your nail. But if you’re not, now is the time to start to reverse any nutrient issues you may have. Eating to take care of your nails will ultimately take care of your whole body making it strong and beautiful. Water. This ultimate beauty elixir supports every process in the body. To make sure you’re not dehydrated, press on the nail and see how quickly the color returns. If it takes longer than two seconds, this could mean you’re dehydrated. Being dehydrated over a long period of time can make your nails become brittle. Protein. Nails are made up of mostly protein, so to grow long and strong nails you must eat a variety of lean quality protein every day. A protein deficiency can show up as white bands across all of your nails. Iron. An iron-deficiency can make nails brittle. The best animal-based iron sources are lean beef, lamb, chicken, oysters, and eggs. Sources of plant-based iron are spinach, lentils, and beans. To enhance the body’s ability to absorb nonheme iron, include some vitamin C with your meal. Zinc. A zinc-deficiency can cause white spots or lines to appear across all the nails at once. Chia seeds, chickpeas, oysters, mushrooms, pecans, walnuts, pumpkin seeds and quinoa are excellent sources of zinc. Calcium. According to an article published in the New England Journal of Medicine, individuals taking calcium supplements sometimes comment that their nails are less brittle or smoother, or that they grow faster. Natural sources of calcium can be found in almonds, Brazil nuts, acorn squash, broccoli, cabbage, chard, kale, spinach, and sardines. Aim for three servings of calcium-rich foods each day. Vitamin B Complex. B vitamins work together to repair cells and synthesize DNA, while aiding in cell reproduction and growth. Eating a variety of foods will ensure you’re getting all essential B vitamins including thiamine (B1), riboflavin (B2), niacin (B3), pantothenic acid (B5), pyridoxine (B6), biotin (B7), folate (B9) and cobalamin (B12). Drink plenty of water to hydrate the nails. Eat lean, quality protein every single day. Eat foods that contain iron and zinc. Eat foods that are calcium-rich. Get a healthy dose of B vitamins.